Lennox Junius Granger was born on July 4, 1932 in Port of Spain, Trinidad. He departed this life on April 3, 2019. Lennox fondly known as “Jim” or “Jim-Bo” attended Primary and Secondary school in Laventille, Trinidad. Lennox graduated from Sir George Williams University of Montreal Canada in 1965. On September 25, 2009 he was inducted into Sir George Williams Men’s Soccer Concordia Sports Hall of Fame. He was employed by Great Lakes Carbon Corporation as an accountant for nearly 20 years until his retirement. Lennox was united in holy matrimony to his loving wife of 59 years Eldica Mark in 1960. They migrated to Montreal, Canada from Trinidad in 1961, until settling in Brooklyn, NY in 1968. Throughout his life he was inseparable from his wife, where there was “Jim” there was “Ellie” they were never too far apart. This union was blessed with 2 sons, Stewart F. Granger and Farley M. Granger Sr.
Lennox was a disciplined man with a laid back demeanor, you could always catch him with a smile on his face due to his joking nature. He never met a stranger because they all became his friends. 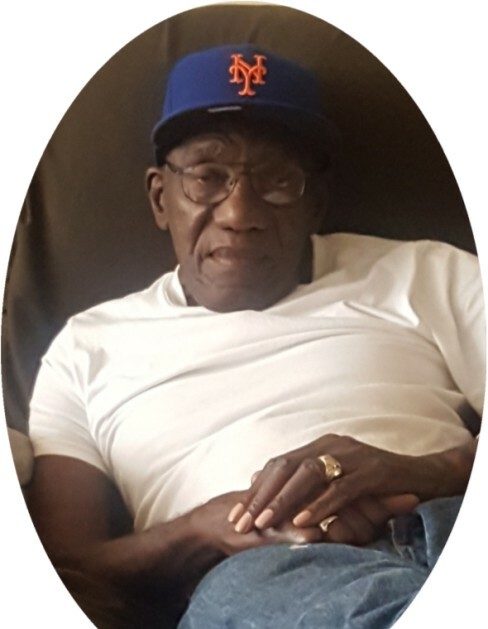 Lennox had a love for music, cooking, exercising, birds and the NY Mets. Regularly you could hear Lennox playing music on his beloved Bose sound system. Lennox could be seen walking around the cemetery four days a week to stay fit. He was also known around the neighborhood for walking his pet birds in cages to fellow bird lover meet ups. After Lennox retired he replaced his signature suit and trench coat for NY Mets memorabilia. He would simultaneously watch the Mets on TV while listening to the broadcast on his radio. Lennox is preceded in death by his parents Phillip and Millicent Granger, Sister Gloria Robinson, Brothers Rupert Granger and Makandal Daaga formerly known as Geddes Granger. Lennox leaves to cherish his memory; his wife Eldica Granger; sons Stewart F. Granger and Farley M. Granger Sr.; Sister Cynthia Niles; 5 Grandchildren; Natasha Jackson, Farley M. Granger Jr. (wife Dominique Granger), Jasmine Granger and Briel Granger; 5 great grandchildren; Truli Lawrence, Kamari Granger, Khyir Granger, Lauren Lawrence and Kalaya King; a host of nieces, nephews, in-laws, cousins and friends who loved and cherished him.